with our 15 step process in construction, remodeling, and design. Wilson County’s ONLY female general contractor and designer, Elizabeth’s firm, Superior Construction and Design, has been in business since 2000. 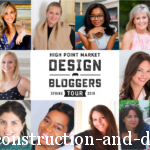 Recognizing a love of construction when building her own home at the age of 24, she knew coupling that knowledge with her interior design skill was a service few could provide.